Gifts are not only a token of appreciation but also given to express love to the opposite person. So when love is in the air, why worry about money? Showering your guy with expensive gift items is the best way to convey the message that the he is super special. Here are the 9 best and most expensive gifts for men for women who can buy ‘em all! This luxury modelled platinum shelled technological device is staggeringly expensive laptop, ideal enough to jazz up any workspace. If your man fits anywhere in the categories of tech wizard billionaire to nerd genius, it is a double delight. 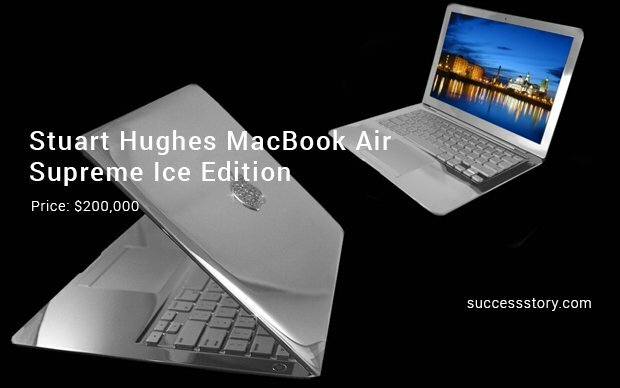 This powerful and stylish laptop has many innovative features and is the most promising pick. His shaving gets a new makeover. And that’s possible when you have the most expensive Razor in the world. 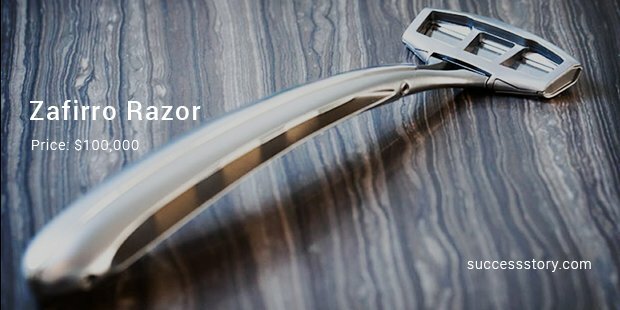 Zafirro razor has artificial sapphire and promotes the luxury quotient. Impress your man with this exquisite piece. After all a man sans stubble is worth millions. Louis Vuitton has its own name in the most desired international brands. This watch measures 45.5 mm in diameter. The man who wears this will be highly desired and recognized among the royal and elegant. Any man finds immense happiness when his woman gifts him a large television made by a trustworthy brand. 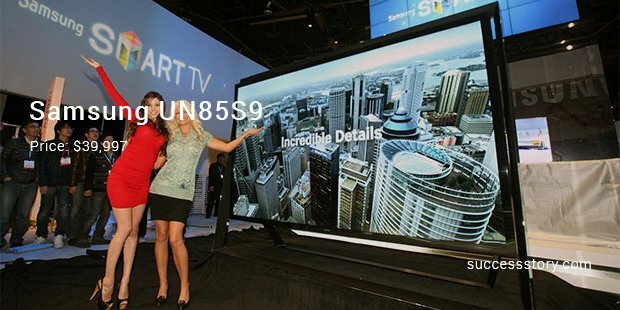 Samsung Framed 85 Inch Ultra Smart LED, the mega entertainment package is the best choice for any sports lover. Men and bikes. We can’t really shake off that obsession for the ones with a fad for some Motorcycle diaries. 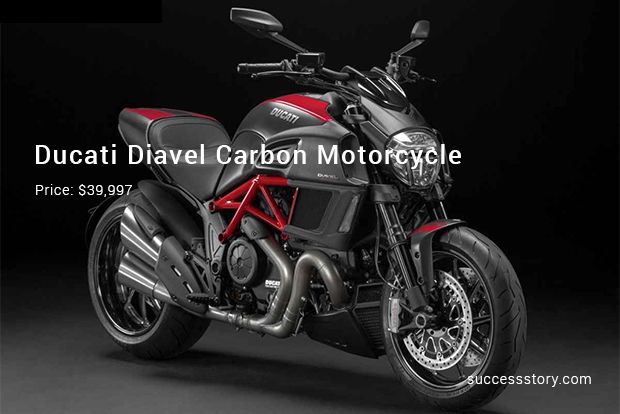 The coveted Ducati Diavel motorcycle is the one among the top picks for men who are bike lovers. 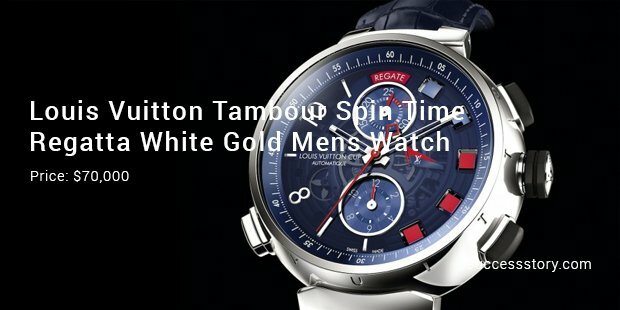 This work of art will make your man go vroom with elegance and style. Cartier is the premier brand in the sphere of jewelry and other accessories. It has arrays of items that caters to the rich and elite. 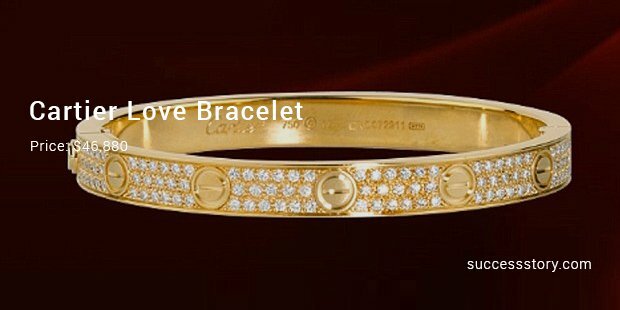 Love Bracelet is the diamond studded love band made to seal love with luxury. 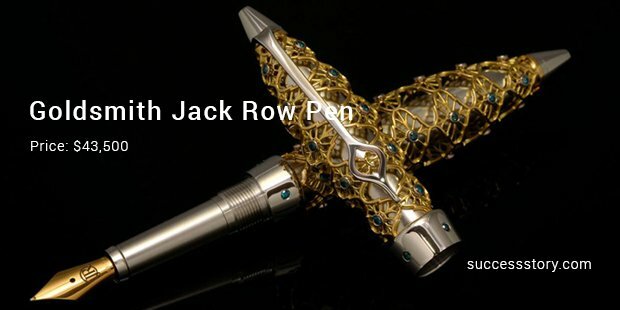 This beautifully designed rich looking pen is all a writer guy needs. And what’s more? It is studded with diamonds and white gold. 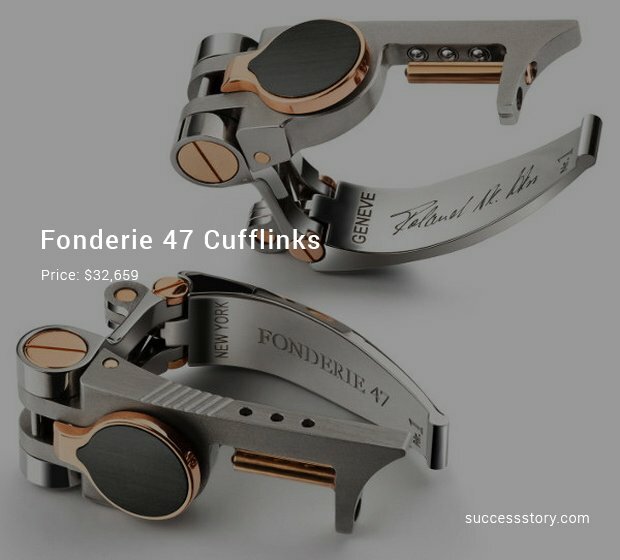 The Fonderie cufflinks will make your man stand out in the crowd. This gift will earn extra brownie points in the boardroom meetings and presentations for its exquisiteness and rich look. The unique part is that it is made from the AK-47 rifles retrieved from Africa. Few men are all for music. 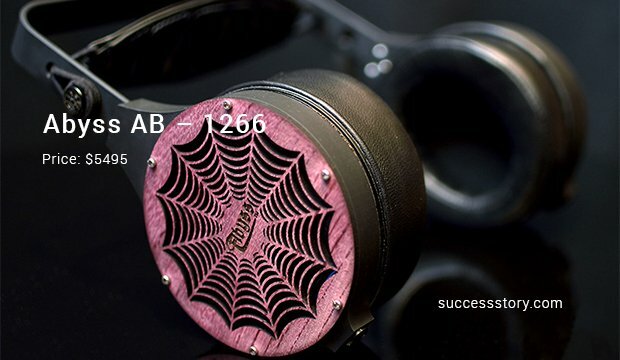 And they can be gifted with the world class earphones, an extra delight not only to ears but also to the heart. The highly durable range from Abyss with a super sleek look give both comfort and joy at the same time.